Deal of the Day: Mini One | What Car? We pitted the Mini One against the Audi A1 in a premium hatchback battle and found the One to be more comfortable than the A1. It’s cheaper to run, too. Discounts are extremely hard to come by on Minis, but we’ve managed to find a saving of more than £500 on a new One. The One has a fantastic turbocharged 1.2-litre petrol engine that’s responsive, nippy and efficient, costing just £20 a year to tax and offering a claimed fuel economy of 61.4mpg. It might be pricier to buy than other rival hatchbacks, but thanks to its iconic status the One has strong resale values, with few cars in its class holding their value as well as the One. There’s far too much road noise at motorway speeds, and wind noise created from the upright windscreen is also intrusive. It’s not as fun to drive as you’d expect. Indeed, the A1 offers a more thrilling ride. Air-con, keyless engine starting, Bluetooth, DAB radio and USB come as standard in the One, as well as adaptive cruise control. A huge amount of extras are available to help personalise your One, but racing stripes or a contrasting roof colour can only be added at Cooper trim level. Most buyers will want to add alloys, with the cheapest 15-inch ones coming in at £300. If you’re looking to increase the One’s practicality, £120 can get you the Storage Pack that gives a false boot floor to maximise space or reduce the lip if you have to lift things over. 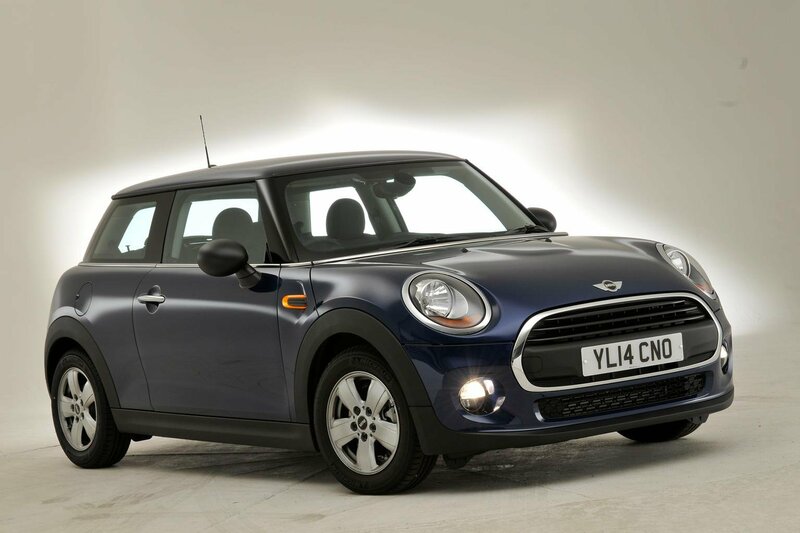 Head to Coast2coastcars.co.uk then select ‘Mini’ and ‘Hatch - Hatchback’ from the drop-down menus to see the full range of deals available.